Lagos, May 18, 2016 The Naira on Wednesday appreciated further against the dollar at the parallel market. 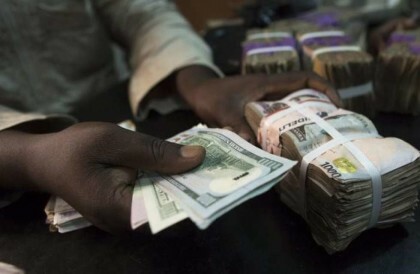 As at Wednesday, it was reported that the Nigerian currency traded between N340 and N341 to a dollar at the close of trading, from N345 it exchanged on Monday. The Pound Sterling and the Euro also traded between N480 and N488 and N380, N385 against the naira, respectively. Meanwhile the official Central Bank of Nigeria (CBN) rate remained at N197 to the dollar. Traders at the market told our news source that trading at the market went undisturbed by the industrial action called by the Nigeria Labour Congress (NLC).